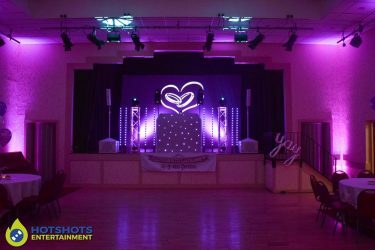 Congratulations to Mr & Mrs Garston who got married on the 13th November 2017 and had their evening reception on the 18th November 2017 at Chipping Sodbury Town Hall the staff on hand were very friendly and helpful. 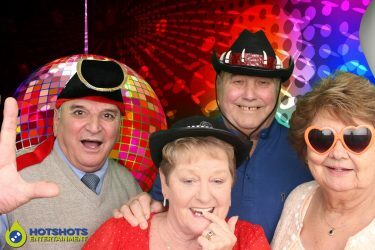 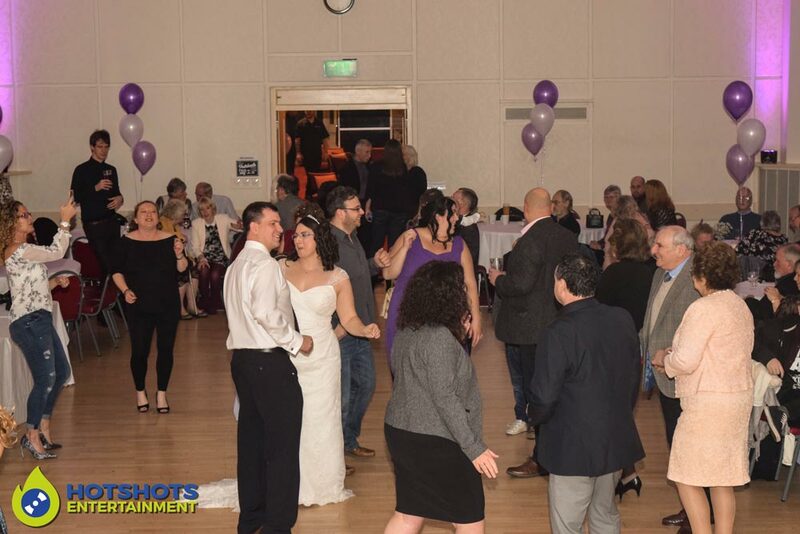 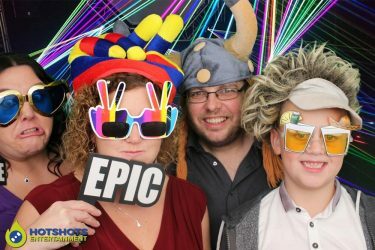 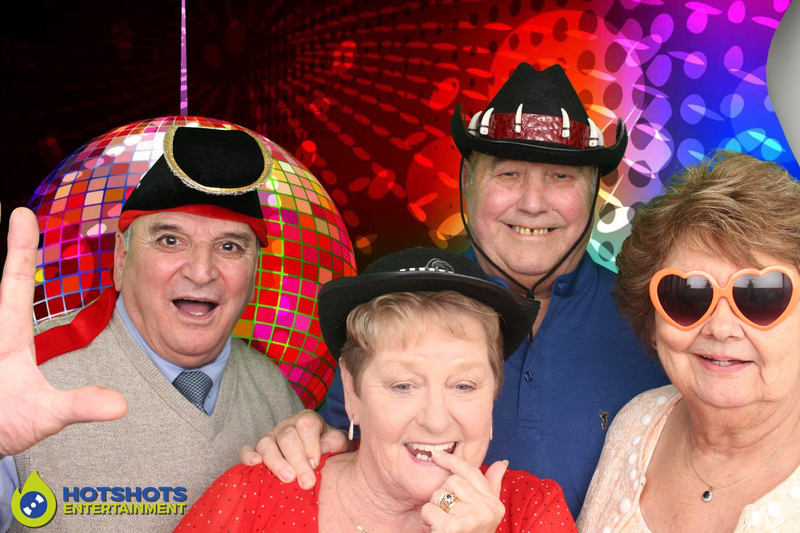 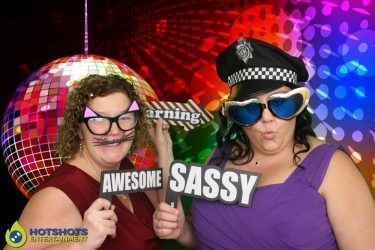 Hotshots Entertainment was booked in to provide a disco and photo booth hire, we first met Ben & Alison at the Chipping Sodbury Wedding fayre, they came in and tried out the photo booth there and knew it was what they wanted, on the meeting with them they wanted a special first dance song which was 2 songs mixed in together. Hannah Grace – Prise you with Fatboy Slim – Praise you, so I mix this live for them and they loved it, we got everyone up on the dancefloor and the happy couple wanted to do a big group shot of everyone there, so their photographer Martin Wise from Studiowise Photography was there to capture this special moment along with the first dance. 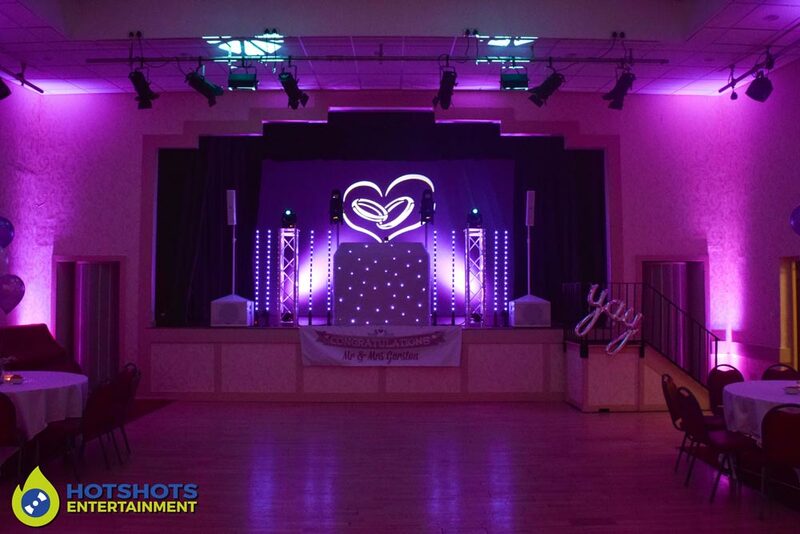 The uplighting was done in a purple colour to match their colour scheme and looked very nice. 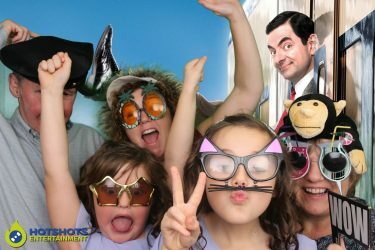 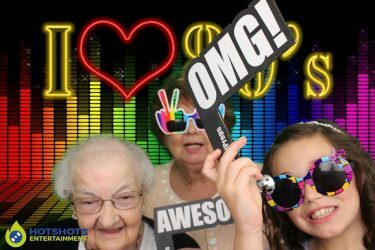 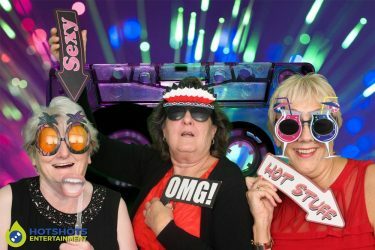 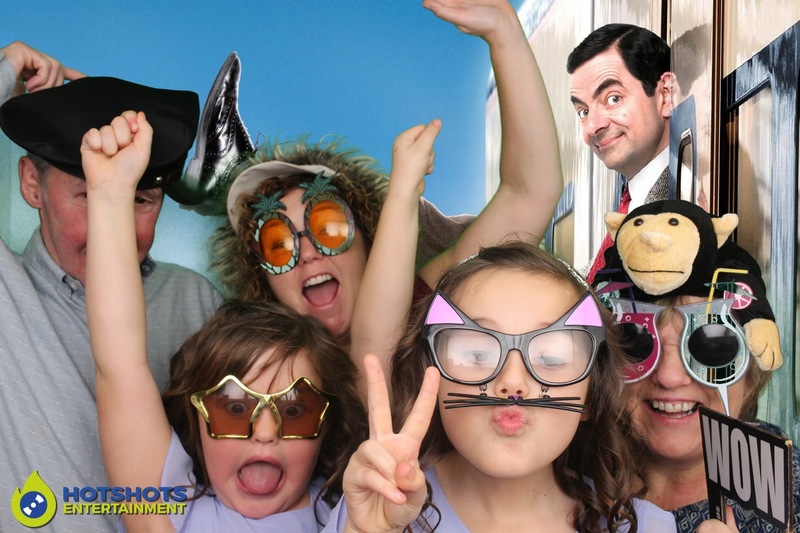 The photo booth opened and wow it looked like everyone has at least one go in there as there were many pictures in the guest book supplied by us and Derrick was on hand he said it was busy all night long. There were a few requests made in the evening for people’s favourite tracks and the buffet was really nice. 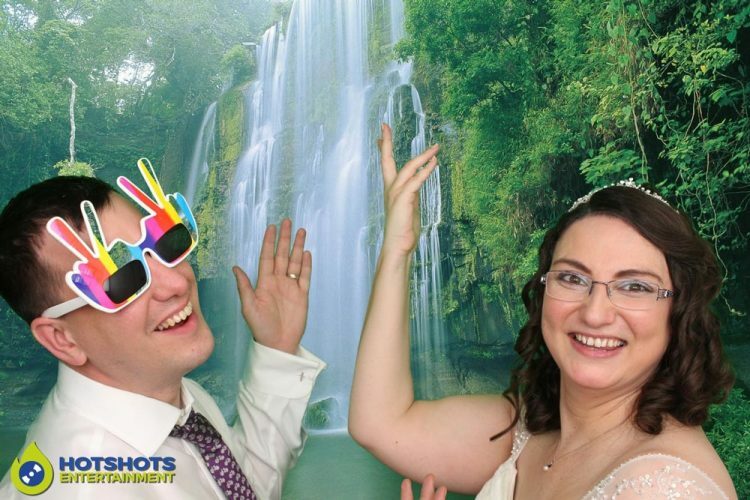 I did take a couple of pictures but there were more photo booth pictures for sure, you can see a few below and the rest you can find HERE in the private gallery, just ask the happy couple for the code. 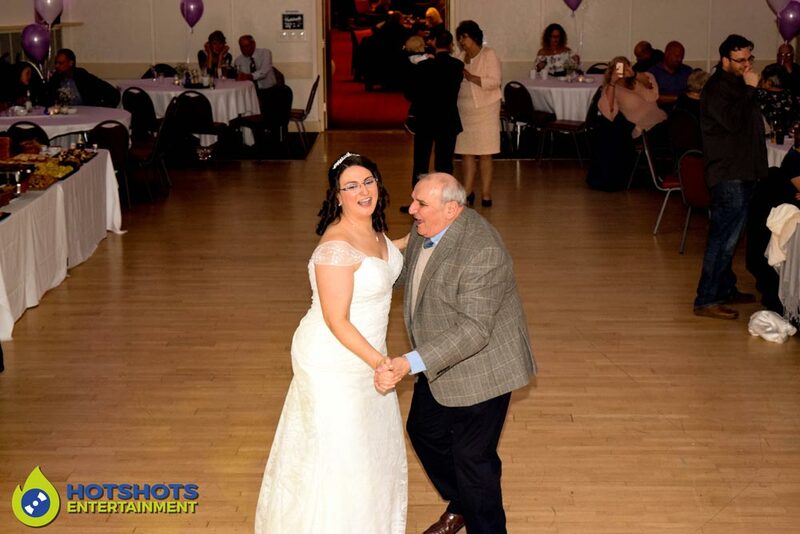 Thank you for booking with Hotshots Entertainment and I wish you many years of happiness together.